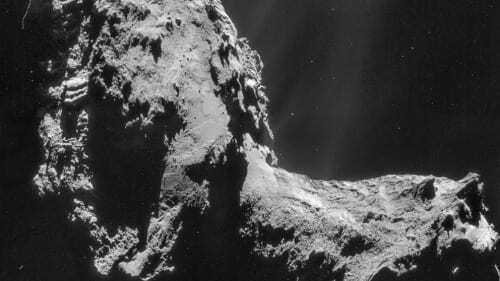 Results released Wednesday from Europe’s Rosetta mission pokes serious holes in the theory that most of the water on Earth came from comets. Observations from the mission show water vapor found on comet 67P is unlike the water we live with on Earth. Scientists will continue to collect data on how the comet behaves for more information on the origins of the solar system. This entry was posted on December 11th 2014 at 7:49am/07:49 and is filed under Live News Column 1. You can follow any responses to this entry through the RSS 2.0 feed.